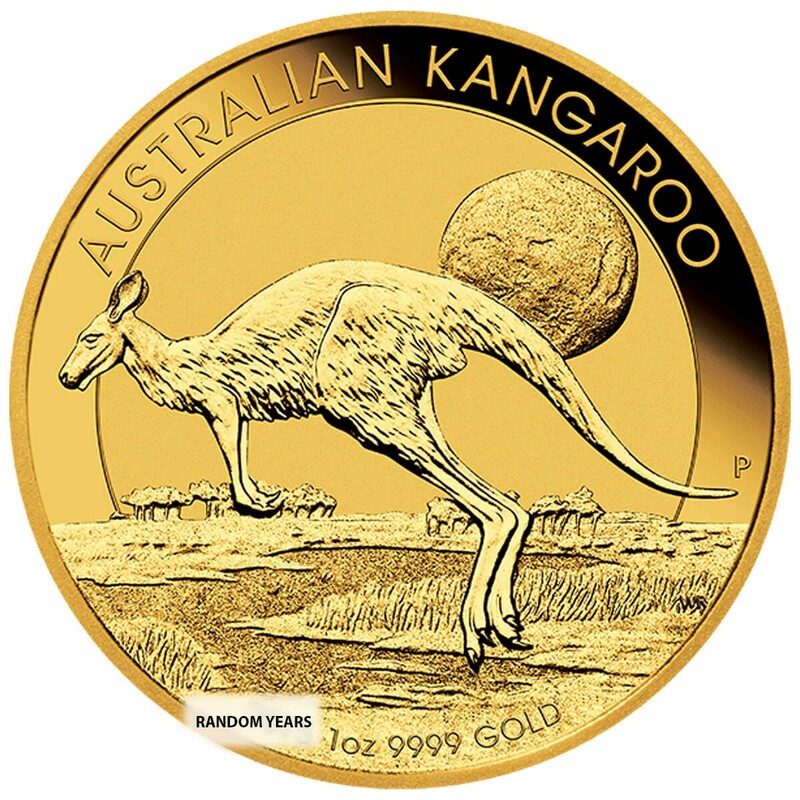 The Gold Kangaroo is Australia's one ounce gold bullion coin. 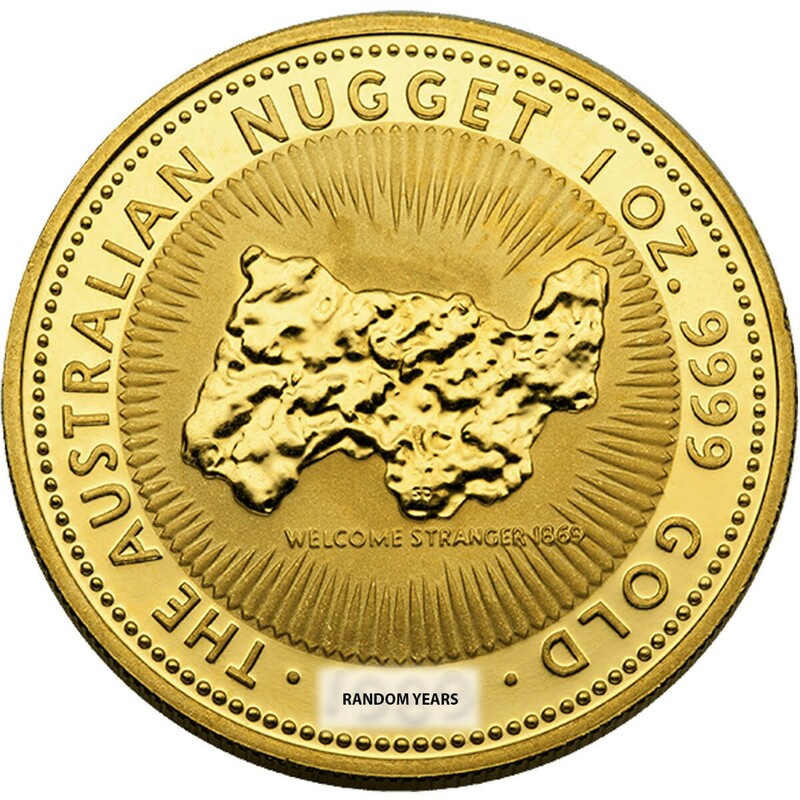 Since 1986 the Perth Mint has produced this $100 face value coin with different reverse designs, originally a traditional gold nugget, with a Kangaroo design in the early 90's. 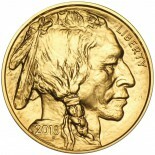 Every year the artwork on the reverse is a different Kangaroo scene. 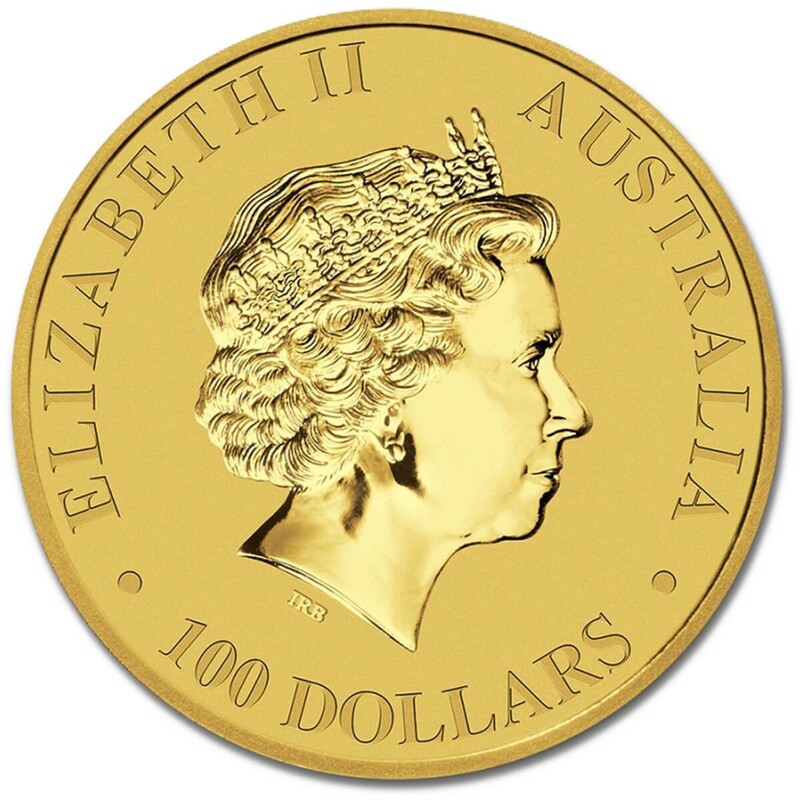 The face of the coin features the Reigning Monarch of the Commonwealth, Elizabeth II. 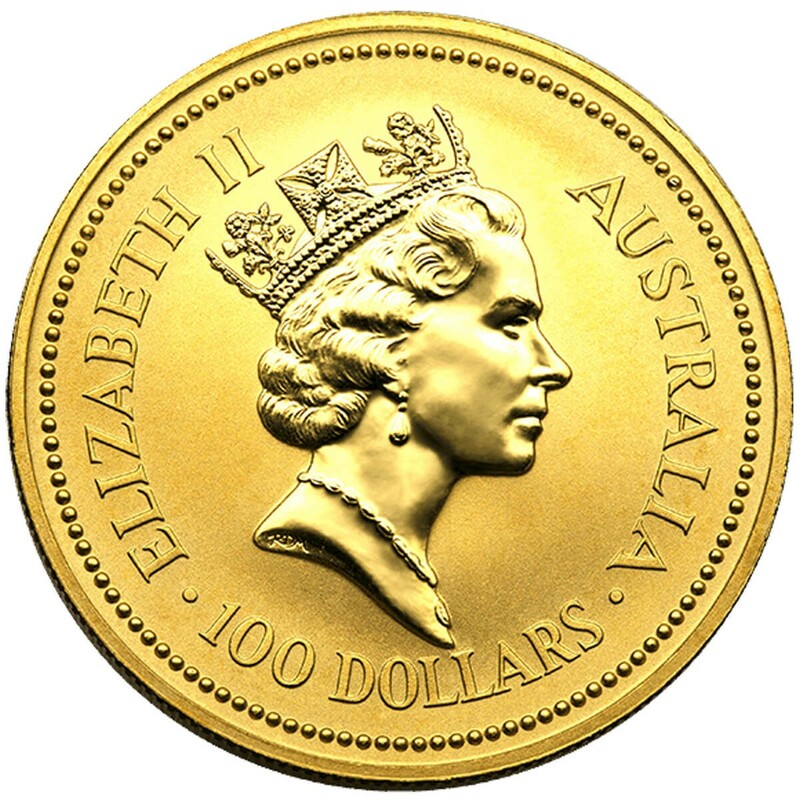 The Kangaroo is .9999 fine gold. 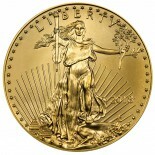 They are encased in plastic capsules to protect the coins.